A monumental Titian features at Sotheby’s sale of Important Old Master Paintings in New York on January 27, 2011. A Sacra Conversazione: The Madonna and Child with Saints Luke and Catherine of Alexandria is one of only a handful of multi-figured compositions by the Venetian Renaissance master in private hands. 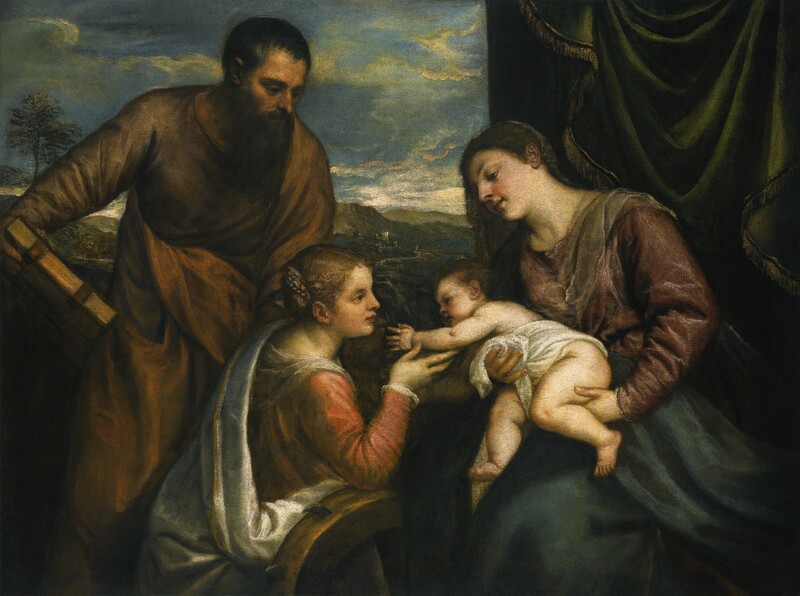 Painted circa 1560 this is a mature work from a time when Titian was being courted by monarchs and emperors. Historically referred to as ‘The Mystic Marriage of Saint Catherine’, the present canvas’s subject lies within the more traditional representation of a ‘sacra conversazione’, a holy conversation between the Madonna and Child and the saints. There is a remarkable provenance. In nearly 500 years it has only changed hands five times moving from one illustrious private European collection to another and rarely appearing in public at exhibition or at auction. It has not been seen in public since the late 1970’s and Sotheby’s say it is the most important Titian to appear at auction since 1991. It is estimated to sell for $15/20 million. This entry was posted on Tuesday, November 2nd, 2010 at 1:50 pm	and is filed under ART, AUCTIONS. You can follow any responses to this entry through the RSS 2.0 feed. Both comments and pings are currently closed.